There is no longer a reason to pine for quality, realistic looking gas logs for your fire pit. 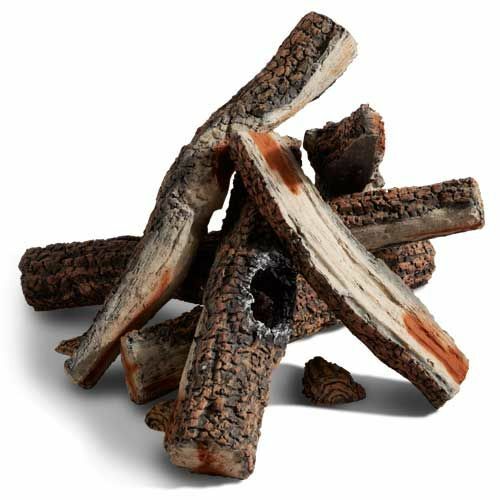 Hearth Products Controls' 5pc Western Pine Outdoor Log Set with Wood Bits branches out from the standard fire pit log set with their Western Pine style gel-coated and ceramic fiber logs. Measuring between 11 and 13 inches, these fit perfectly into a maximum 18" inner diameter fire pit and enhance the flame by glowing where it is hottest. If you're looking for a log set that isn't all bark, this is the right set for you.